We are an expert 'His & Hers' partnership for home renovations. Bathrooms, Kitchens and complete home redesigns. Bespoke Home Solutions (Lincs) has worked in and around the Sleaford Lincolnshire area for over a decade and has worked in the building industry for over 30 years. 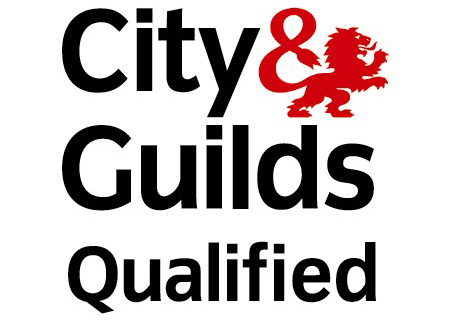 We specialise in Property Maintenance, property enhancement and Bespoke construction. We cover Electrical, Plumbing & Building. If you have an idea but are unsure who can bring it all together as a complete package then we may be exactly who you need to speak with. We still offer property maintenance to the local area for small projects, additional lighting, additional radiators, painting & decorating, plumbing, repair work, decking and outdoor projects. Aslackby is situated approximately 12 miles south of Sleaford on the A15. Aunsby is situated approximately 5 miles south of Sleaford off the A15. Barkston le Willows is an attractive village lying on the river Witham approximately 10 miles west of Sleaford along the A153, then A607. Belton is a picturesque village, about 12 miles west of Sleaford, boasting Tudor bedehouses. The village of Bloxholm is situated between Digby and Leasingham. Braceby is situated approximately 10 miles south of Sleaford off the A52. Coningsby is a large, thriving village on the A153 Midlands to East Coast road. It is within easy reach of Horncastle, Boston, Sleaford and Lincoln. Cranwell is situated approximately 5 miles north-west of Sleaford off the A15. Dogdyke is situated approximately 10 miles north-east of Sleaford off the A153. Folkingham, situated 8 miles south of Sleaford, was among over 100 Lincolnshire manors gifted by William the Conqueror to his wife's nephew, Gilbert. The splendid Early English Church of St.Wulfram, located in Church Street, is one of the highlights of this town with its spire rising 282 feet. Haceby is situated approximately 9 miles south of Sleaford off the A52. The village is recorded in the Domesday survey as Echintune and was then held of the Crown by Gilbert de Gaunt. Helpringham is situated 5 miles south-east of Sleaford on the edge of the Fens. One mile to the north of Sleaford is the hamlet of Holdingham (formerly spelled Haldingham). The village of Hough-on-the-Hill is situated approximately 12 miles west of Sleaford. Leasingham is an expanding village two miles from Sleaford and two miles from Cranwell. A milestone near the church says it is 117 miles from London. One of the string of villages along the A607 Lincoln to Grantham road, about 12 miles north of Sleaford. Navenby stands high on the Cliff. The stone-built village of Newton is situated approximately 7 miles south of Sleaford and grew around the rim of a small depression in the limestone. Osbournby, or Osberneby as it was recorded in the Domesday Book, is situated on the A15, six miles south of Sleaford. It has a population 'of 250. At the point where the Ancaster gap emerges into the fen areas around Sleaford lies the parish of North and South Rauceby, a mile apart. Ropsley is situated ten miles southwest of Sleaford. It is the birthplace of Richard Fox, Bishop of Winchester, who founded the King's School in Grant. The heath village of Scopwick is situated approximately 8 miles north of Sleaford on the B1188. South Kyme, about 8 miles east of Sleaford, stands on the river Slea, which flows through the flat Lincolnshire countryside. Spalding is a peaceful market town characterized by grand Georgian terraces, and buildings, which flank the River Welland. With a population of around 3,000, Swineshead is one of the larger parishes in the borough of Boston. It lies about 11 miles east of Sleaford. Syston, ten miles west of Sleaford, lies beside the lovely hillside park of Syston Hall, the park being the scene of inter-collegiate motor cycle race. Tattershall is a busy village, situated between the rivers Bain and Witham, approximately 12 miles from Sleaford. Tattershall Thorpe is a fast growing hamlet on the road from Tattershall to Woodhall Spa, about 12 miles northeast of Sleaford. Threekingham is situated approximately 8 miles south of Sleaford. The village of Walcot is situated approximately 8 miles south of Sleaford. The village of Wilsford is situated approximately 4 miles south-west of Sleaford on the A153. The village has some 2,500 inhabitants, an abundance of trees and is situated almost at the centre of Lincolnshire, about 14 miles north of Sleaford. Copyright Bespoke Home Solutions (Lincs). Picture Window theme. Powered by Blogger.